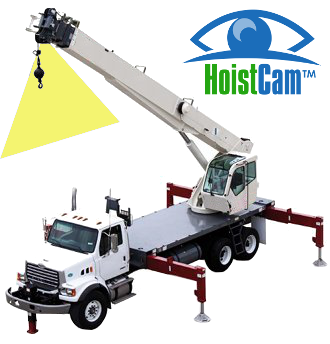 The low profile HoistCamTM platform is a complete turnkey system and comes with day-and-night monitor, one wireless 700TVL camera, safety lanyard, and magnet mounting system. The HC140 also includes an internal 10Ah battery pack with optional external battery packs for continual operation. All of this comes in a handy transport case. Blind lifts for tower cranes, telescopic boom cranes and overhead cranes, where line-of-sight is impossible for the operator, are now significantly improved. The wireless HoistCam camera is designed to be an aid to the operator and used where the standard HoistCam may not fit where flexibility is most needed. 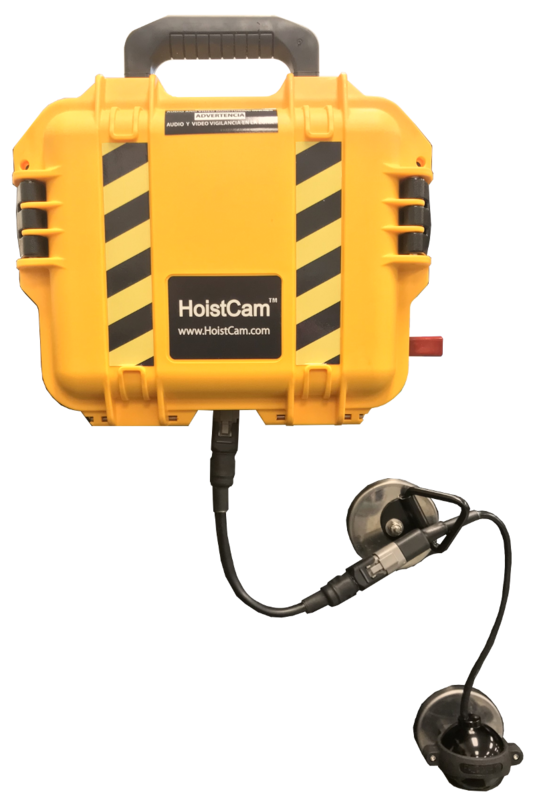 The low profile HC140 series HoistCam can be used on various types of cranes and equipment. 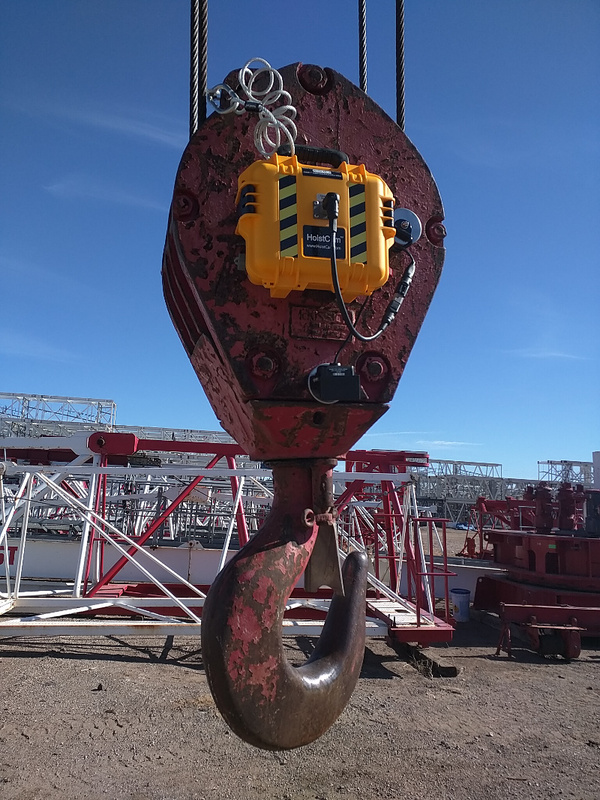 From rubber tire gantry cranes to container loaders, HoistCam HC140 can be mounted near the pins of the spreader bar to enable the operator to see the pins aligning with the top of the container. 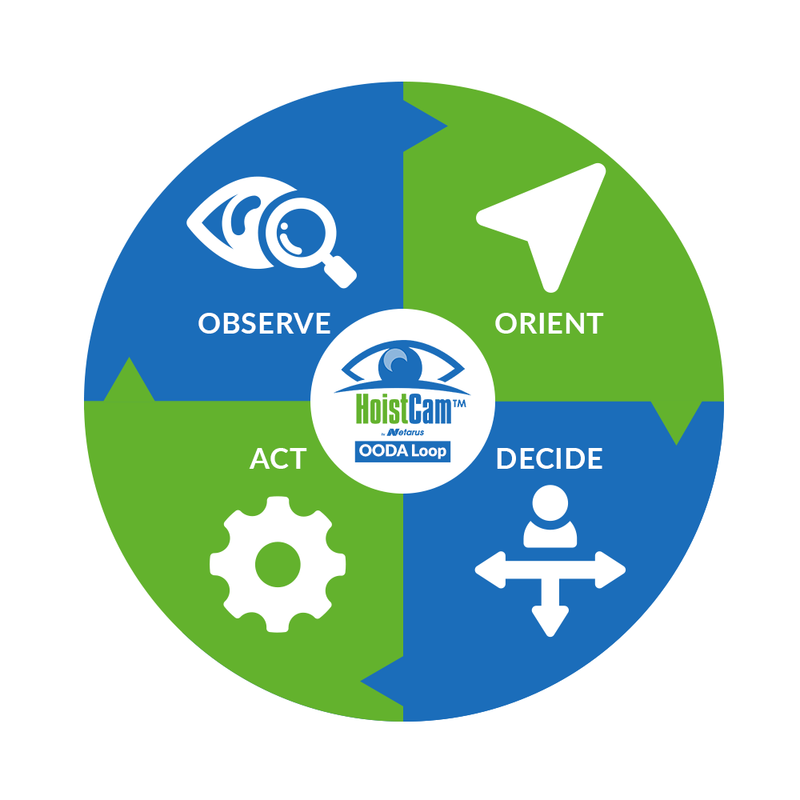 HoistCam HC140 is a alternative to the HC180 for placing the eyes of the operator around the load. Safety is increased, and efficiency improved by making instant visual information available anywhere. 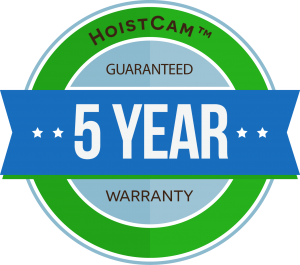 HC140 – low profile wireless HoistCam with 10Ah internal battery, charger, 9″ monitor and transport case. Complete turn-key solution! HC140i – low profile wireless HoistCam with no internal battery pack. Packaged and designed to be wired into power or add-on two external 10Ah battery packs (upgrade to 20Ah available). Below demonstrates the location of the HoistCam boom tip camera on the boom tip. Ask about remote access, recording and microphone integration with audio transmitted directly from the camera to the operator.